The gravity from ordinary matter – stars, interstellar gas and dust - alone is not sufficient to keep Galaxies from falling apart. An abundance of roughly five times as much Dark Matter as ordinary matter is needed to hold Galaxies together. It is now well established that the Galaxy which we inhabit, the Milky Way, is embedded in an enormous spherically shaped clump or “halo” of this strange substance. Unlike most ordinary matter, Dark Matter particles are invisible to optical telescopes, but may smash against each other and radiate gamma-ray photons a billion times more energetic than visible light. Such a glow of Dark Matter emission is expected to be brightest at the Centre of the Milky Way due to the very high concentration of Dark Matter particles in that region of the sky. 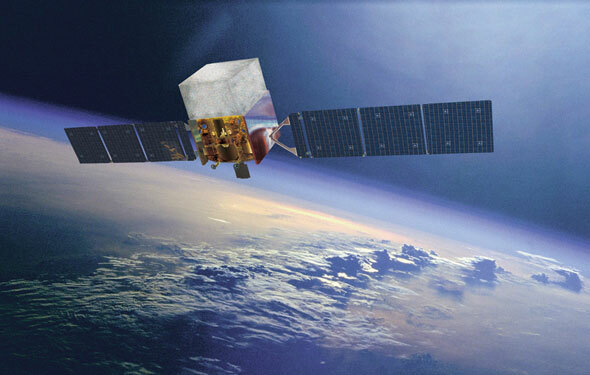 The Fermi Gamma-Ray Space Telescope (launched in 2008 and still in operation) has allowed scientists to have the clearest ever view of the gamma-ray sky at the few giga-electron volt energy range. In one of the most interesting recent developments in our quest for Dark Matter, several independent studies of Fermi Satellite data uncovered a mysterious gamma-ray signal originating from the Galactic Centre (hereafter Fermi Galactic Centre excess) that was easily accommodated by some of the best theoretically motivated Dark Matter models. The centre of our Galaxy may be rich in Dark Matter, but it is also rich in stars. 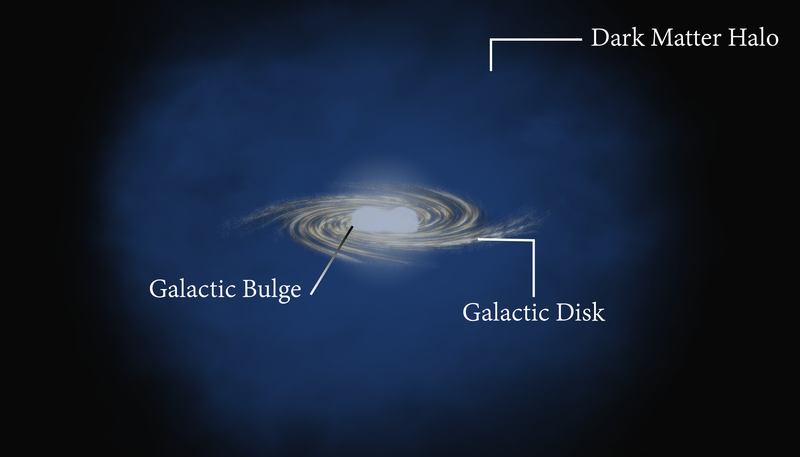 As shown in the artistic illustration below, the stars of the Milky Way are distributed in three main structures: a central bulge, a dominant disk and a diffuse stellar halo. N-body simulations show that the Milky Way bulge was formed through an entangled process of stellar orbit evolution - disk stars originally orbiting in the plane of the Galaxy slowly transition to bulge orbits via dynamical instabilities. The instantaneous spatial distribution of the bulge stars results in bulge shapes that can be distinctively non-spherical. 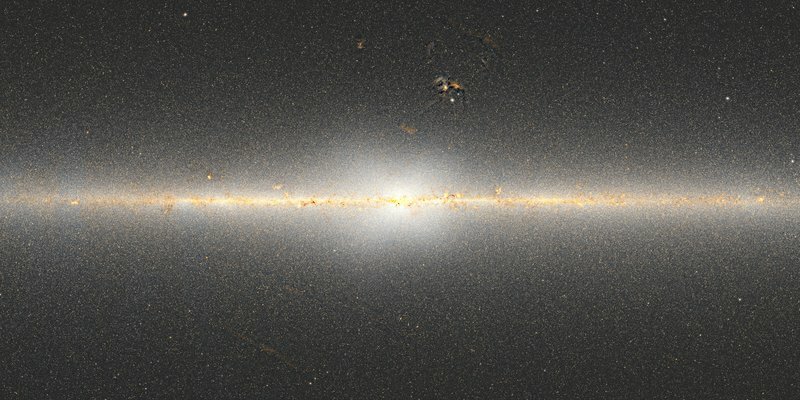 Near infrared data from the Diffuse Infrared Background Experiment instrument on board the COBE satellite first established the non-spherical nature of the Milky Way bulge. This was later confirmed by stellar count maps of different surveys (e.g. 2MASS, OGLE-II and VVV survey). The image below displays new diffuse infrared measurements taken with NASA's Wide-field Infrared Survey Explorer (WISE), which reveals the non-spherical morphology of the bulge stars. Our new study, recently confirmed by an independent team, shows that there is a detailed match between the projected maps of various stellar populations of the Galactic bulge and the spatial morphology of the Fermi Galactic Centre excess signal. This finding essentially requires that an astrophysical source connected to these stars is responsible for the Galactic centre gamma-ray excess and rules out a Dark Matter explanation of the signal. My research interests lie at the interface of particle physics and astrophysics. A central theme of my research program is the possibility that Dark Matter particles - which are invisible to optical telescopes - may produce gamma-ray photons as the result of collisions with each other. A clear-cut detection of this signal in regions where Dark Matter is abundant and the background is well understood would have profound implications for our understanding of the Universe.